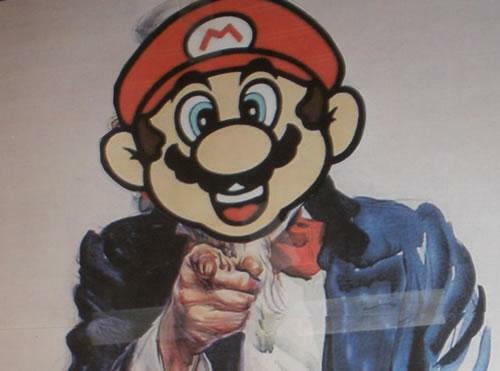 Staff openings & Content wish list: Super Luigi Bros Needs You! Super Luigi Bros is operated and run by Luke Hackett with assistance from his loyal sidekick Benni Castellanos who between them currently (attempt to) maintain bringing our users everything from the latest Mario series news and media, retro articles, guides to every game ever made, interesting articles about the series and its games, opinionated editorials, reviews and running YouTube, Facebook, Google+, Tumblr and Twitter updates amongst countless other things! Create blog-like posts for the website including response pieces to recent Super Mario news, speaking about specific aspects of a particular game or the series as a whole, or any other opinionated pieces of work related to the series. Create countdown material, including top-5 favourite lists for games, soundtracks, powerups, characters... perhaps talking about things that were left out of a game, or ideas for future Mario titles. Editorial writers should be able to write for us once a week. We are looking for people to write one article a week of their own creation. On a set day of the week convenient to the author. Past features included weekly artwork, comic strips, featured music, in particular we are looking for more unique ideas though for example something we are looking specifically for in this section would be to do a weekly column on Super Mario collectibles. Open to all ideas, as long as they are Mario relevant. We are trying to provide comprehensive info on each game in the Mario series such as the games story (from official manual if available, if not a translation of whats going on in the game to set the back drop etc), what new features the game bought, any special notes about its controls, any trivia, any references to other Mario series titles, or any other fun/interesting stuff about that game. Unfortunately due to time constraints we haven't been able to keep up with a) adding pages about the latest games, some of our pages may be dated, vague etc. Specifically we need help adding "meat to the bone" on the following pages. Many other pages need to be updated, but those mentioned above have priority. If you spot any others which you think you could enhance feel free to suggest it. We're open to constructive critique. We intend to feature a walkthrough for every Super Mario game ever made on our YouTube channel and website. This can be in the format of editorial style walkthroughs accompanied by HD screenshots or commentated video guides with a small accompanying write up. Applicants should have the ability to capture HD screenshots and video. Dancing Stage: Mario Mix (Gamecube) - If I had all the time on earth, I would still find a way of avoiding this. In the case of games composed of "mini-games" instead of a single piece game we would instead publish a general overview and mini game guide, giving the detail of each mini game within that title with HD screenshots and any specific tips to beating that game as well as an "all mini games in Mario Party X" accompanying video. We are also potentially interested in potentially having Lets Play videos of Fan Made unofficial Mario games. Sounds simple, but it would be a big help if you notice any broken links or images that don't display etc that you let me know on luke*AT*classic-mario.net so I can fix them quicktime! A lot of stuff went wrong when we changed domains over from superluigibros.com, I've found and fixed "most" of it but some stuff might still be lurking in the shadows of our near 2000 pages. Super Luigi Bros is just a fan site and we cannot pay people to work here. Actually it's costing a fortune just to keep the site up right now! Although it is volunteer work, in some cases hardware and/or software can be provided to you to help increase productivity. If you decide to leave Super Luigi Bros, you may keep anything that you’ve written, but it will also remain a part of Super Luigi Bros.
Super Luigi Bros has gone through several different staff members in the past. Please, only submit an application if you are absolutely dedicated to working for the site. We are only looking for the best here at Super Luigi Bros. If you write for us, you will be fully credited for your work a) on that articles page b) on the hall of fame c) we can link google+ authorship accounts to your articles in one of those author profile boxes at the bottom of each article you write. You will also be listed on the staff page. Each position has its own direct requirements which are listed in their job description. Time! you must be able to consistently devote some of your time to work on site content. If it is too low on your list of priorities, you will inevitably lose interest and we will lose a staff member, which we always want to avoid.